Until June or July this year, I firmly believed that well-made South Indian filter coffee was the best form of coffee ever. This belief possibly had to do with my conditioning, having been exposed this to this coffee form from an extremely early age, and the belief sustained even in the face of pretty excellent coffees from quite a few artisanal “Aussie style” cafes here in London. Then, around then, I decided to embark on “intermittent fasting”, which meant no calorie consumption from 8 in the night to the next noon (each day). The diet permitted me to drink coffee or tea in the mornings as long as no milk or sugar was added to it, and that presented a problem. For South Indian filter coffee can’t be drunk black. The addition of the chicory, which slows down the pace through which water/steam filters through the beans in order to maximise flavour, adds its own flavour, which when unmasked by milk can be pretty revolting. Though I must mention that chicory powder is sold as a separate “health drink” here in the UK (maybe it needs to be marketed such because its taste is most revolting). That I couldn’t add milk to my coffee meant that I needed to explore other ways of making good black coffee. Counter top space (or the lack of it) ruled out contraptions such as an espresso machine or even a Nespresso machine. There was an old Braun “coffee maker” (which my mother-in-law reportedly procured two decades ago) at home, but that dished out pretty bad coffee (which only Americans might appreciate). And so I started exploring, asking around coffee-geek friends (not to be confused with the cafe of a similar name in Victoria). The French Press was quickly ruled out on account of taste. I strongly considered the Aeropress and the Hario V60, and in the spirit of “try before you buy” or even “learn before you buy”, I asked baristas at my favourite local artisanal cafe to show me how to brew in these methods. I quite liked the output of both methods, but found the aeropress apparatus a bit cumbersome and hard to clean (one reason I didn’t want to use my trusty Bialetti Moka Pot to make non-South Indian coffee as well). The V60 on the other hand offered simplicity of making process as well as extreme ease of cleaning. So quickly after I had tried, I had bought the pourover cup from Amazon, and a bag of beans from Electric (they ground it for me) and I was ready to go. I’ve since fallen in love with this form of coffee, though when I go to a cafe I order an espresso-based drink (Cortado/Piccolo or Flat White depending on the cafe). And though I gave up on intermittent fasting a month and half after I started it, I continue to make this (I’m sipping on one such cup as I type this). And this is because of the caffeine kick. I think I had this realisation for the first time back when I was still fasting – I drank a cup of pourover coffee just before I hit the gym (on an otherwise empty stomach), and I was astounded by my own energy levels that day. And I have since tested this in several other situations – before meetings, while doing an important piece of work or simply to stay awake. The caffeine kick from pourover coffee is simply unparalleled compared to any other kind of coffee I’ve had (though espresso-based coffees in cafes come very close). South Indian filter coffee optimises for flavour at the cost of the caffeine. The decoction is frequently stored for a long time, even overnight. The large amount of milk added means that a given amount of beans can be used to make several more cups. And the chicory addition means that brewing is slower and more flavour gets extracted from the beans, though it’s unlikely that the amount of caffeine extracted is proportionally large. And all this together means you get incredibly tasty coffee, but not something you can get that much of a caffeine kick out of. And that is possibly why we are conditioned to drinking so many cups of coffee a day – you need so many cups to get the level of caffeine your body “needs” to function. And this explains why South Indian filter coffee in the evenings has never interfered with my sleep, buy any coffee bought in a good cafe after 5pm has invariably led to sleepless nights! Do you have anything else to add to this theory? PS: The first time I made pourover coffee, I used Indian beans from Chickmaglur (that I bought here in the UK), so it’s not to do with the beans. It’s the extraction method. I have several favourite stories from the Panchatantra (which perhaps explains my lack of appreciation of modern children’s fiction). One of them involves a crane and a mongoose. And I think it is a good lesson on when and where to call for regulation, and government or legal intervention. So the story goes like this. A snake lives at the bottom of the tree where a crane has built its nest. 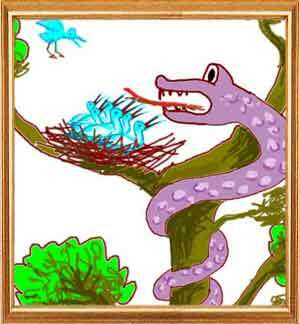 Each time the crane lays eggs, the snake slithers up the tree and devours them. And the crane doesn’t know what to do. Ultimately it receives some “brilliant advice”. There is a mongoose living somewhere nearby, and the crane lays out a Hansel-and-Gretel like path of fish from the mongoose’s house to the snake’s house. The mongoose duly follows the trail of fish and finishes off the snake. The next day, the mongoose is hungry again, and it climbs up the tree and devours the crane’s eggs. It is common political discourse nowadays to call for the government’s or court’s intervention to solve what seems to be private problems. The governments and courts are of course happy to oblige – any new source for intervention and rent-seeking are good news for the people involved. And then you get a solution that temporarily solves the problem (slaughtering the snake). And then in the long term, what you get is a bigger problem (mongoose eating the crane’s eggs). The only difference is that in real life it is not just the crane that gets negatively affected – the regulations hurt everyone. The examples that come to my mind at this point in time are all “local”. Some residents in Indiranagar in Bangalore weren’t happy about the noise from nearby pubs. They asked the government to “do something”. And the government “did something” – it banned the playing of live music in restaurants, killing off what was then a budding industry in Bangalore. Some other residents somewhere else in Bangalore were unhappy that their neighbours had dogs that barked. They asked the government to do something. The government did something – coming up with an elaborate document to regulate dogs that people can own. And there are more involved (and dangerous) examples of this as well. Don’t be like the crane. So I just sent off a letter to India. To be precise, it is a document I had to sign and send to my accountant there – who sends regular “letters” any more? The process at the post office (which, in my suburb, is located inside a large bookstore) was simple. In the first screen of the touch screen kiosk, there was an option for “worldwide < 20 grams”. A conveniently placed scale told me my letter weighed 18 grams, and one touch and one touch of my debit card later, I had my stamp. Within a minute, my letter was in the letterbox. The story of how we pay the same amount for sending mail over large areas (“worldwide” in my case today) is interesting. Earlier, mail rates were based on distance, but as new roads kept being built in the 19th century America, and distances kept changing, figuring out how much to charge for a letter became “expensive”. A bright fellow figured out that the cost (in terms of time) of figuring out how much to charge for mail was of the same order of magnitude as the cost of the mail itself. And so the flat rate scheme for mail, that is prevalent worldwide today, was born. Putting it in technical terms, transaction costs trumped price discrimination in this case. Price discrimination is the art (yes, it’s an art) of charging different amounts to different people based on their differential willingness to pay. Uber surge pricing is one example (I have a chapter in my book on this). Airline fares are another common example. Until the late 18th century (well after mail prices had gone “flat”), price discrimination was rather common everywhere, a concept I have devoted a chapter to in the book. In fact, the initial motivation for fixed price retail was religious – Quakers, who owned many departmental stores in the US North-East, thought “all men are created equal before God” and so it was incorrect to charge different amounts to different people. Soon other benefits of fixed prices became apparent (faster billing; less training for staff; in fact it was fixed prices that permitted the now prevalent supermarket format), and it took off. The concept is the same as stamps – the transaction cost of figuring out how much to charge whom is higher than the additional revenue you can make with such price differentiation (not counting possible loss of reputation, and fairness issues). Price discrimination at the shop is now confined to high value high margin businesses such as cars. And it works in other high gross margin businesses such as airlines, hotels and telecom. These are all businesses with high fixed costs and low marginal costs for the suppliers. Low marginal costs has meant that price discrimination ha been termed as “revenue management” in the airline industry. During the launch function of my book last year, I got asked if Uber’s practice of personalising fares for passengers is fair (I had given a long lecture on how Uber’s surge pricing is a necessary component of keeping average prices low and boosting liquidity in the taxi market). I had answered that a marketplace needs to ensure that its pricing is perceived as being “fair”, else they might lose customers to competitors. But what if all players in a market practice extreme price discrimination? Thinking about it, transaction costs will take care of price discrimination before businesses and marketplaces start thinking of fairness. 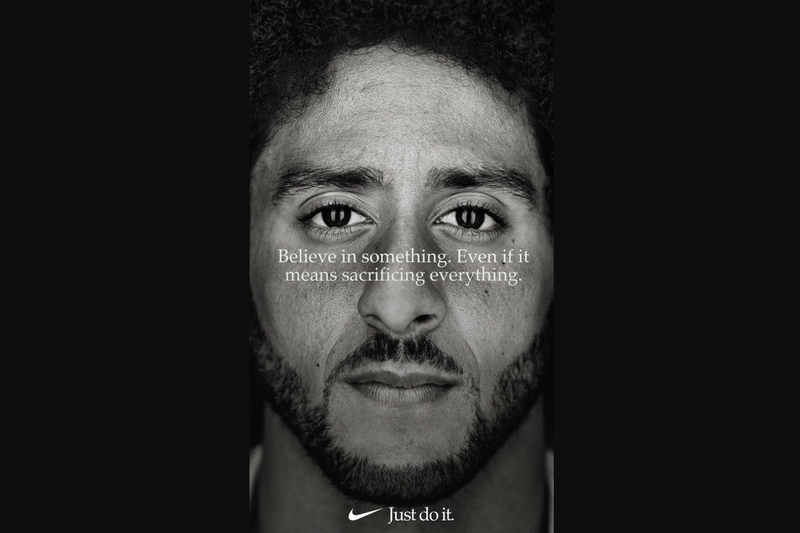 Beyond a point (the point varies by industry), the marginal revenues from price discrimination will fall below the transaction cost of executing this discrimination. And that poses a natural limit to how much price discrimination a business can practice. Reading this piece reminded me of Benoit Mandelbrot’s The (Mis)Behaviour of Markets, and his description of the efforts of the colonial British government in Egypt in deciding the height of the Aswan dam. The problem with the Nile was “long range dependence” – the flow in the river in a year was positively correlated with the flow in the previous few years. This meant that there would be years of high flow followed by years of low flow. The problem was solved by a British hydrologist Harold Edwin Hurst by looking at thousands of years of data of the flooding of the Nile (yes, this data was available), and there is a nice description of it in Mandelbrot’s book. I had taken a few insights from this chapter for my own piece on long-range dependence in stock markets that I had written for Mint a few years back. Coming back to Narayan’s piece, one problem is that in India we have an obsession with keeping dams filled up. In Karnataka, for example, every year during the monsoons, newspapers keep track of the level of water in the major reservoirs, expressing worry in case they’re not full enough. In that sense, I guess our dams haven’t been planned for long-range water sharing, and that has contributed to problems such as sudden water release. Also not helping matters I guess is the fact that a lot of rivers flow across states, and the level of dams is a source of negotiation between states, and this leads to further keeping them small and ill-geared to long term water management.